Russia’s building of seven military bases and stationing a regiment there raises growing security concerns about the Arctic’s future. Speaking Monday at the Atlantic Council, a Washington, D.C., think tank, Mark Brzezinski, a former United States ambassador to Sweden, said, “Any militarization undercuts the peaceful underpinnings” of the eight-member Arctic Council that includes the United States. Melanie Nakagawa, a deputy assistant secretary of State for energy transformation, added the council “has not tackled security” issues historically. The United States is the council’s chair into 2017 when it turns it over to Finland. The council has most often addressed scientific and research question affecting all Arctic nations. But the United States “is not passive … or indifferent” to these Russian moves, he said. Brzezinski added President Barack Obama included a request for $150 million to begin work on a heavy-duty icebreaker, money that will initially go to building the infrastructure for the vessel’s construction. 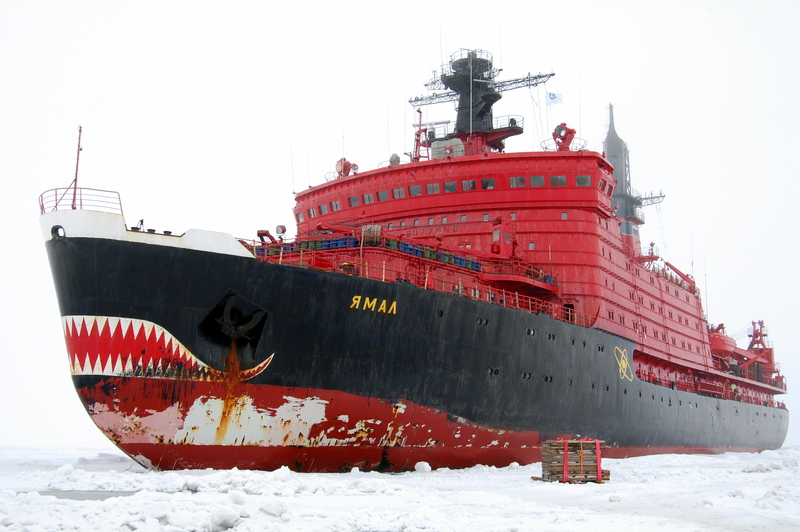 The U.S. Coast Guard has one decades-old heavy-duty icebreaker in service now. Brzezinski said Russia, the United States and other Arctic nations do work together on Coast Guard safety and security issues in the far north. Nakagawa added those issues were among the reasons that Adm. Robert Papp, retired Coast Guard commandant, was named the State Department’s special representative for the Arctic and in anticipation of the United States’ council chairmanship. Brzezinski said the Department of Homeland Security and other nations conducted exercises in how they would respond to an emergency involving a liner. They “walked the walk.” As Arctic ice continues to melt, “we’ll see more of these larger ships” transiting the passage. The council also is looking at how nations would respond to disasters such as a huge Arctic oil spill. Cathleen Kelly, a senior fellow at the Center for American Progress, said, “Look at what happened in the Gulf Coast” with the explosion in 2010 of the Deepwater Horizon rig and how long it took to bring that spill under control. Working in the Arctic is “incredibly difficult” because of high running seas and harsh weather conditions. Complicating matters, the region doesn’t have the infrastructure of ports and roads to act quickly or on a large scale. “We just wouldn’t be able to get that kind of response” as in the Gulf of Mexico into a region where the Interior Department said a spill is likely, she said. Brzezinski said more nations are recognizing that what happens in the Arctic has a direct impact on them — e.g. climate change, rising sea levels, loss of permafrost affecting the atmosphere. Twenty-five countries, including Singapore and China, participated in a recent United States conference on collaborating on research and science efforts in the Arctic.